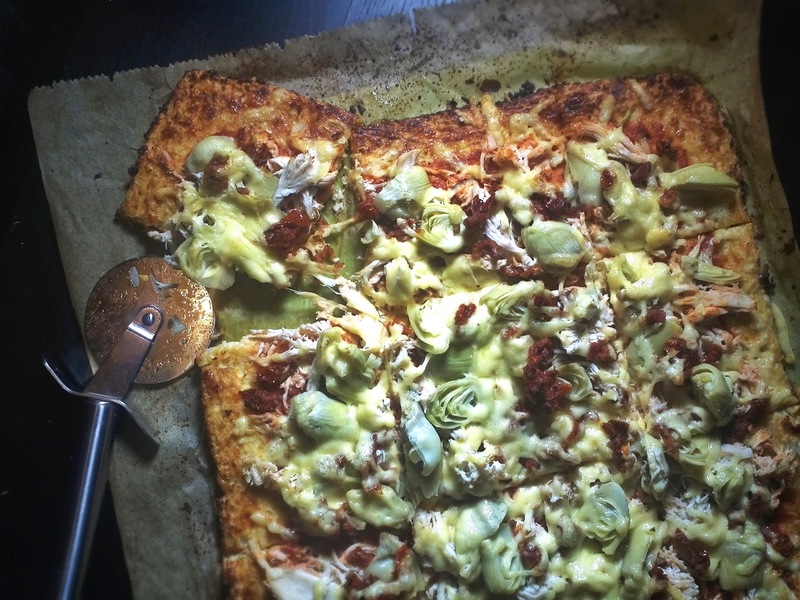 With its crispy edges and cheesy center, cauliflower pizza crust has hit the Internet by storm. It’s on just about any respectable foodie’s pinterest. I tease, but with all these recipes for cauliflower pizza crust floating around I had to give it a try myself. Clearly, the crust is not going to taste exactly the same, but the most frequent main complaint is that the crust is too weak and floppy to hold up toppings. Ooo, but it CAN! It’s just a matter of adding enough egg and pre-baking the crust long enough – but not too long. It’s a delicate thing you see. While you want to bake it enough to let the excess moisture off before pilling on the topping, you don’t want it black on the edges by the time the toppings and cheese are golden brown. Slightly tricky. My tip: Try to make sure the edges of your crust are just as thick, if not thicker, than the center. Edges are going to bake faster, so given them a fighting chance. If they still aren’t crispy enough for your liking, crank up the heat toward the end of baking time to toast them up. 1. Preheat oven to 450F. In a large pan on medium heat, cook the cauliflower until it becomes slightly transparent, about 7 minutes, stirring frequently. Allow to cool. 2. 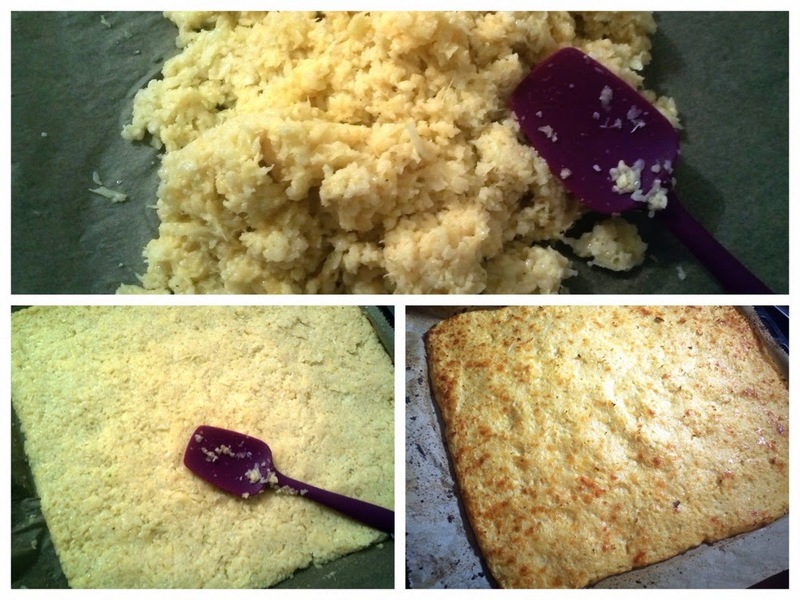 Take a cheese cloth or just a regular dish towel and wring the excess water out of the cauliflower. Expect at least a cup of moisture. The more you wring out, the shorter the baking time and the crispier your crust will be, so really get the water out don’t just pat it dry. 3. In a large bowl, combine add the cauliflower, spices and egg. Fold in the shredded cheese. 4. Line a baking sheet with parchment paper. Spread mixture out in the shape of pizza you want and press into a crust that is roughly ¾-inch thick on the edges and ½-inch thick in the center. 5. Bake roughly 15 to 20 minutes or until the cheese is bubbling and the crust is light brown. 6. Take out and top the pizza. 7. Return to oven and bake for an additional 15 minutes or until crust and cheese is golden brown. As mentioned above, if you feel like the edges are not getting dark enough, bump up the heat another 25 degrees for the last few minutes.